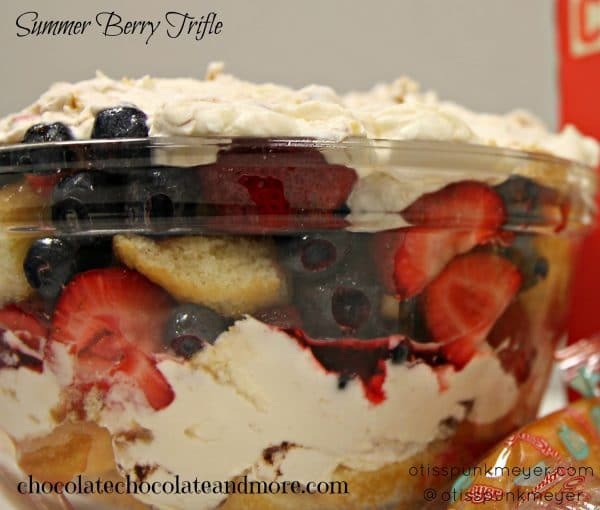 Summer Berry Trifle - Chocolate Chocolate and More! Summer Berry Trifle combines the fresh fruits of summer with sponge cake and whipped cream. 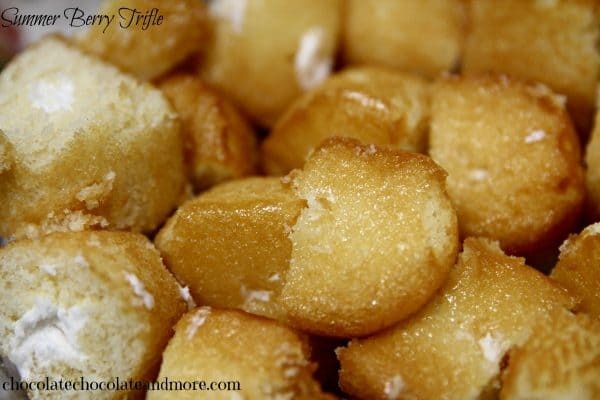 Otis Spunkmeyer Golden Crème Cakes make a great shortcut for this dessert. 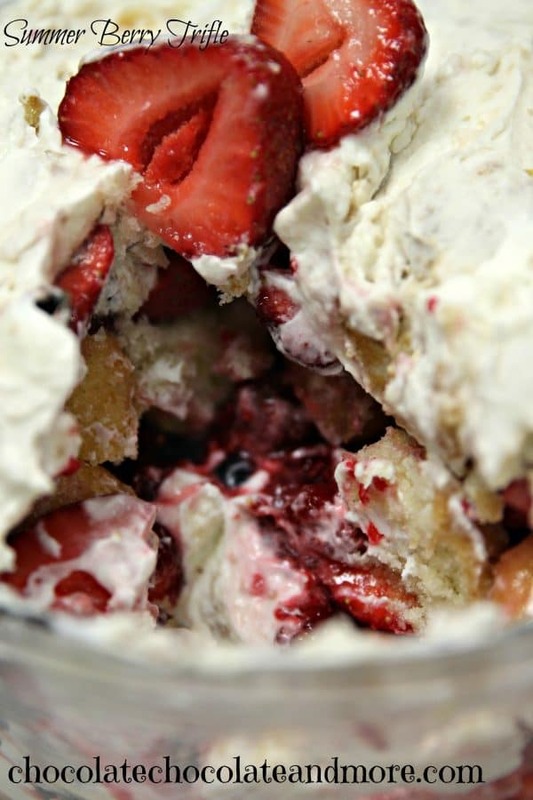 This time of year is PERFECT for making one of my favorite “simple” desserts – berry trifles. The grocery stores have plump and sweet blueberries, raspberries, strawberries, and blackberries just jumping out to greet you when you walk in the door — all you have to do is decide how to use them! Trifles always look fancy, but aren’t hard to make at all, and a new group of products by Otis Spunkmeyer made my job even easier – and tastier! Most of you know Otis Spunkmeyer because of their yummy chocolate chip cookies, but now the company makes a retail line of baked treats that tout they are made with “No Funky Stuff”, and boy are they good! 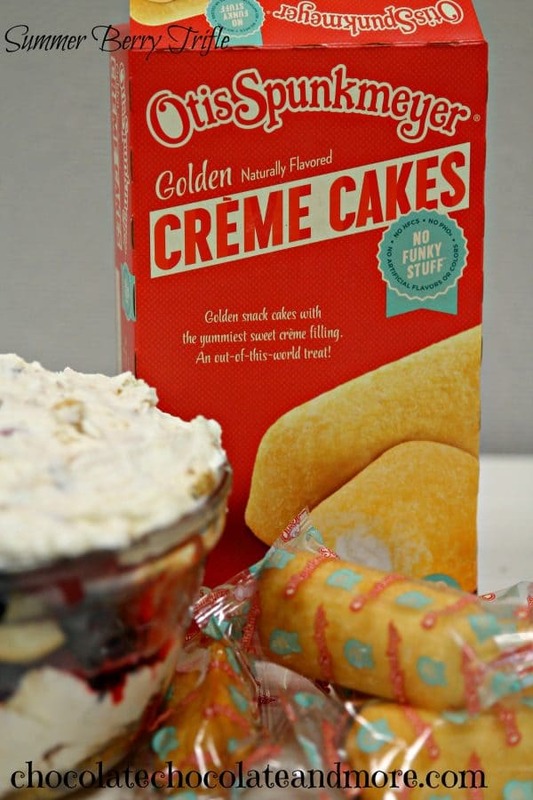 For my Summer Berry Trifle, I decided to replace the standard angel food cake with OS’s Golden Crème Cakes, which are golden snack cakes filled with a yummy buttercream filling. (An added bonus is the Golden Crème Cake doesn’t have artificial colors, artificial flavoring, high fructose corn syrup and artificial oils/over-processed oils, which I like because I am trying to cut out a lot with the word “artificial” in it!) I used 20 of the cakes (each box comes with ten individually wrapped cakes) and cut them each into four small pieces. 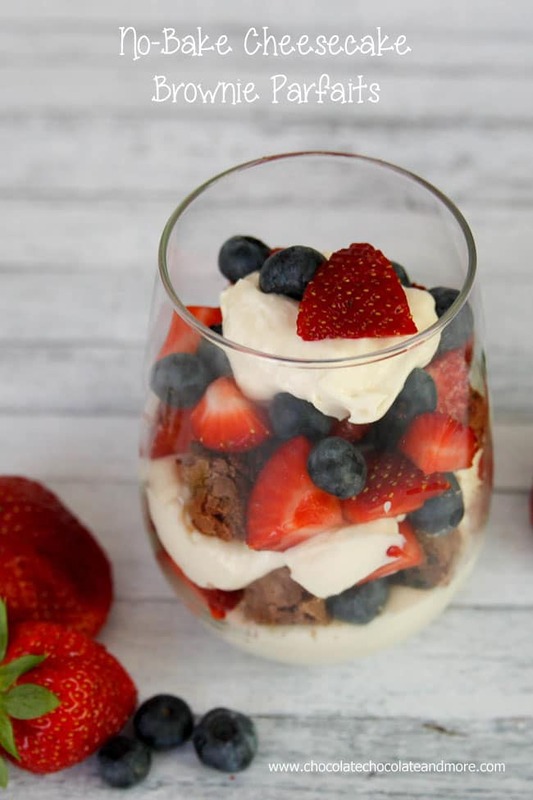 I call this simple, because you can “cheat” and use vanilla pudding for the other layers, or you can be “fancy” and do the filling from scratch – completely up to you with what works with your schedule. Clean the berries (if using strawberries, hull them and cut in half) and place in a large bowl. Add superfine sugar, juice and liqueur and stir gently until berries are covered. Cover and set aside for at least an hour to let the combination macerate. Cut the Otis Spunkmeyer Golden Creme Cakes into 4ths (you should have about 6 cups) and set aside. In a large bowl, using an electric mixer on medium-high speed, beat together the cream, confectioners' sugar and vanilla until soft peaks form, about 3 minutes. In a separate bowl, using clean beaters and with the mixer on medium-high speed, beat the mascarpone until soft. Using a rubber spatula, fold the whipped mascarpone into the whipped cream until evenly blended. In a large flat-bottomed glass bowl, arrange a single layer of the Golden Creme cake pieces in the bottom of the bowl. Spoon one-third of the berries over the cake and then spread one-third of the mascarpone mixture (or pudding) over the berries. Repeat the layers twice, finishing with a layer of the mascarpone mixture (or pudding). Cover with plastic wrap and refrigerate for at least 4 hours or up to 24 hours. You can replace the cream, sugar, vanilla and mascarpone with vanilla pudding to make this a "simple" recipe. You can also replace the orange liqueur with an equal amount of orange juice for a kid-friendly version. I like the use of cream cakes in this trifle, and real whipped cream. Thanks Joanne. I love that the cream cakes add just a little more cream to the trifle. Kim came up with a great combination here!